and a choice of either bridle clip or pin. 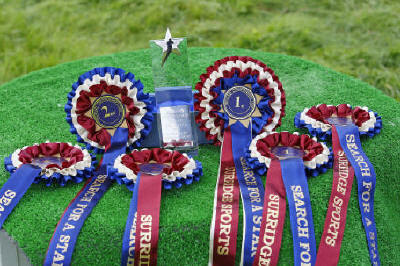 These are the rosettes your competitors will remember and comment on. These rosettes are made from luxury 24mm wide box pleated ribbon, offering the look of a top class rosette but without the cost. 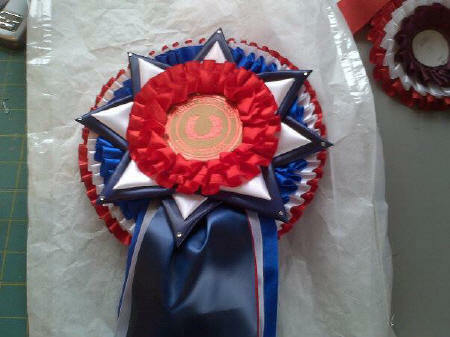 All of our Rosettes come with large 68mm centres unless otherwise requested. All are priced per rosette, and there is no VAT to add. 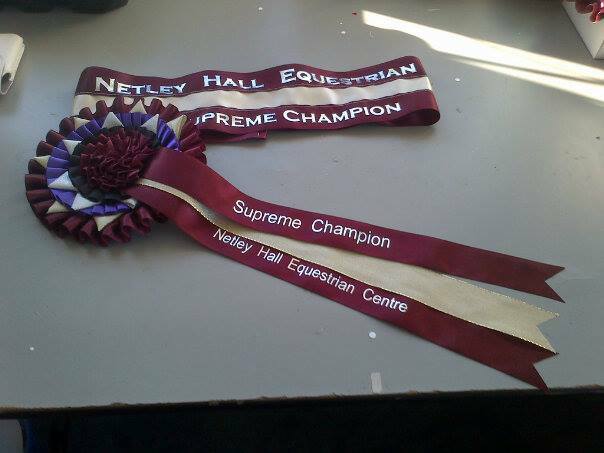 Includes Tails x 2 6" 8" 10" 12"
All of our Rosettes are made with quality sewn edge ribbons, and come with either bridle clips or pins at no extra cost.